The experts believe that the earlier Panthera leo fossils evolved into Panthera leo spelea or cave lion. It was spotted around 700,000 years ago in Europe. It disappeared from earth around 2,000 years ago. The scientists do not know the cause. It remains unclear till today. 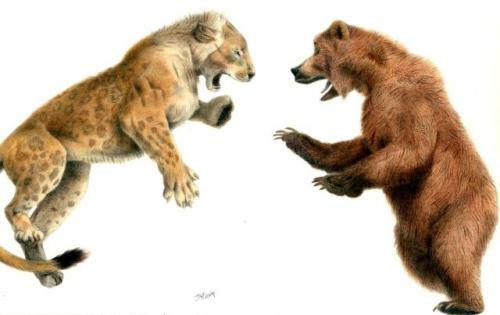 But there is a belief that the cave lion was extinct because it was killed by the early human who settled in Eurasia. During the Pleistocene epoch, the P. l. spelaea was alive. It was around 370,000 to 10,000 years ago. 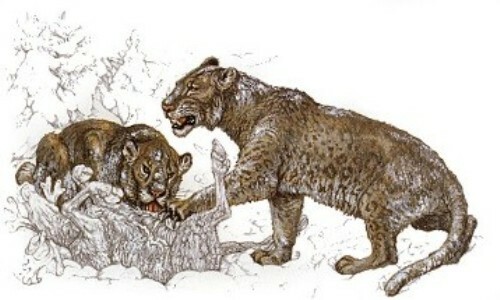 Cave lions lived in the mountains and woodlands of Eurasia. Can you guess the weight and length of cave lions? The adult one has the weight around 700 to 800 pounds, while the length can reach 7 to 8 feet. 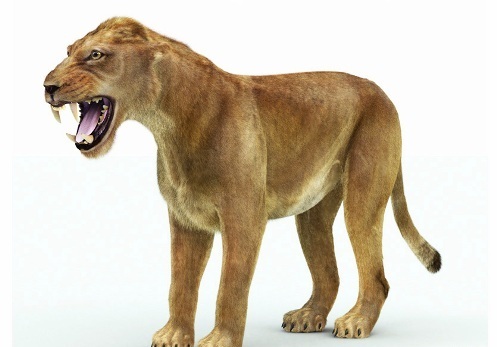 Just like the modern lions, cave lions were carnivorous animals. The main diet was meat. The main physical characteristics that cave lions have are seen from the powerful limbs, stripes, large body size and manes. Cave lion was classified under the subspecies of modern lion of Panthera leo because the fossil remains of cave lion have the similar genetic sequences with the modern lion. Find facts about cape buffalo here. During the Pleistocene epoch, cave lion was considered as one of the most powerful and most feared predators. 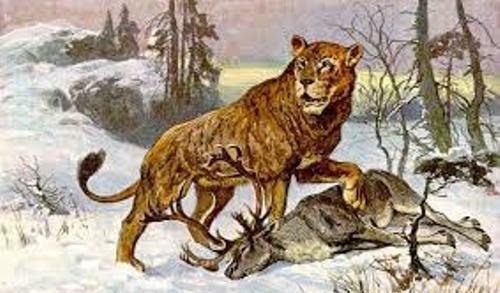 The animal hunted by cave lions included cave bear, prehistoric elephants, and prehistoric horses. 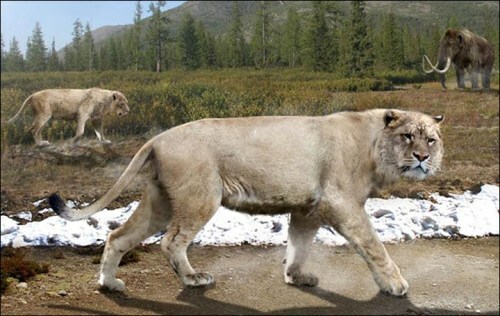 Other people believe that cave lions extinct because of the low amount of the usual prey as well as the climate change. The low level of the usual prey probably was caused by the extensive hunting of Homo sapiens for they needed the mammalian megafauna, prehistoric pigs and deer to eat. Get facts about cats here. Do you have any questions on facts about cave lions?